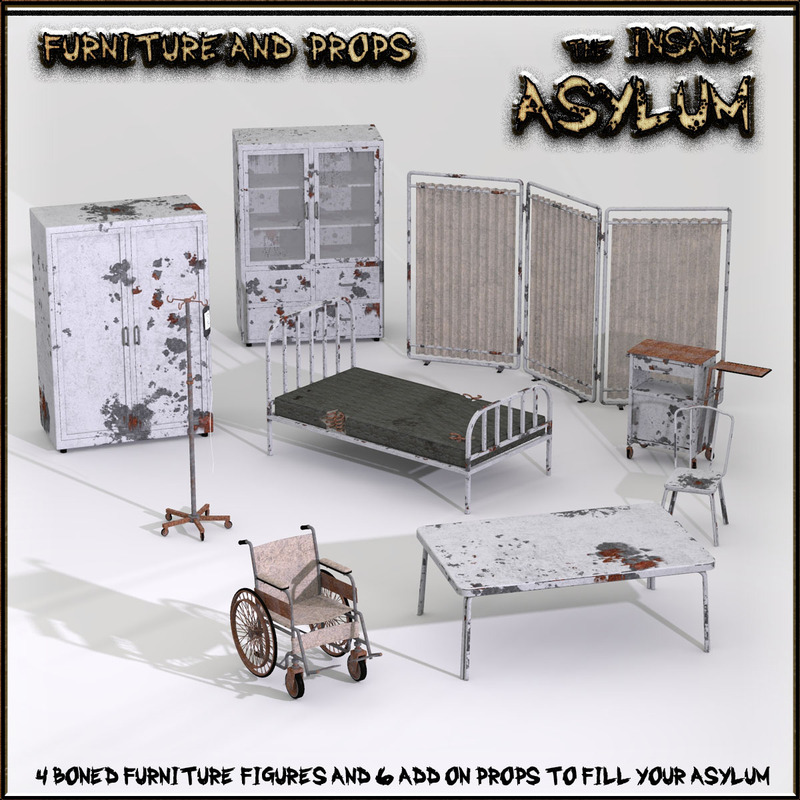 Here is a versatile pack of furniture and props for your asylum. Or actually for any sort of ruin/apocalyptic scene. Figure/Boned Items can open trays, open doors etc.